Bonuses and promotions are such a big part of playing at an online casino. But are they really worth it..? One of the key factors that most players take into account when deciding which online casino to play at is the welcome bonus offered. Easy way to find information about various welcome deposit bonuses is to read updated Canadian online casino reviews. These bonuses are often hugely generous and are designed to encourage players to sign up to a particular casino over all others. But these bonuses often come with complicated terms and conditions, in particular wagering requirements that must be met before any winnings can be withdrawn. Experienced players are often aware of this, and some even enjoy the challenge of completing the wager requirement, but for more casual players it can be very confusing. In some cases, this can lead to players becoming frustrated as they are unaware of what they must do to turn bonus winnings into cash. Indeed, while a bonus seems to offer tremendous value on paper, it might be best not to accept it depending on the type of player you are. Below, we cover the different types of welcome bonus offered by online casino brands and the pros and cons of accepting them. 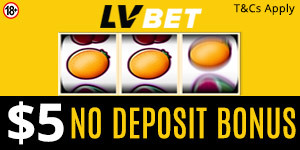 No deposit bonus – the casino will give you free money – usually a small amount such as $10 – to try certain games at the casino without having to deposit your own money. These are ideally suited to players who like to make minimum deposits at online casinos. Deposit match bonus – the online casino will match your deposit up to a set amount with bonus money. It is usually 100% but can be as high as 200%. Free spins – players may also be offered a set number of free spins on a particular game. Cashback – not as common as the above offers, but some online casinos will offer you cashback on all your wagers whether you win or lose. In most cases, an online casino welcome offer will be made up of more than one bonus. For example: 100% deposit bonus up to £50 plus 20 free spins on Starburst. That means you will receive up to £50 in bonus money plus 20 free spins on NetEnt’s super popular Starburst slot game. There are several upsides to accepting a welcome bonus offer and, so long as you are aware of the T&Cs attached, they can add tremendous value to your play. Accepting a no deposit bonus means that you can see what an online casino has to offer without having to deposit any of your own money. If you decide you don’t like the experience you have received, you can try somewhere else. You can use the deposit bonus money to extend your game play. Instead of wagering with just the amount you have deposited, you can wager with the bonus money, too. Free spins are a great way of extending your gameplay on the slot they are offered on. Qualifying games are usually some of the most popular slot games of all time, including Gonzo’s Quest and Immortal Romance. There are some drawbacks to bonuses, however, and the most serious to consider is the wagering requirements (WR) that usually come with such offers. For those that don’t know, wagering requirements are the multiple you must re-wager your bonus money or free spin winnings by in order to withdraw them as cash. For example, a deposit bonus may come with a x35 wagering requirement on the bonus money you receive. If you receive £10 in bonus money you must re-wager £350 before any winnings can be withdraw from your casino wallet into your bank account. With free spins, the wagering requirement is usually on the amount you have won from the free spins. So, if the WR is x20 and you win £50, you will have to wager £1,000. You also need to consider other terms and conditions such as the amount of time given to complete the WR and the games that contribute and the amount they contribute. All this information can be found in the terms and conditions of a welcome bonus, which you should read thoroughly before deciding to opt in. So, how do you decide if a welcome bonus is right for you? If you look at the offer and see that it adds value to your play – either by letting you try a casino before depositing or increasing your bank roll – then accept it. If you look at the offer and, when considering the terms and conditions it comes with, think it will alter the way you play, it might be best not to accept it. Remember, you do not have to accept a welcome offer and most online casinos will reward you in other ways once you have signed up and start playing.